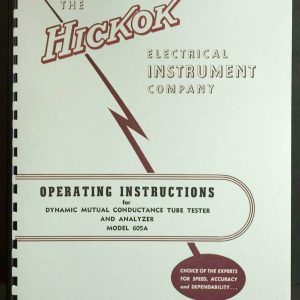 For sale is reprint of Navy Hickok Cardmatic Tube Test Conditions tables. Manual is dated January 1968 and test data section is 133 pages long. 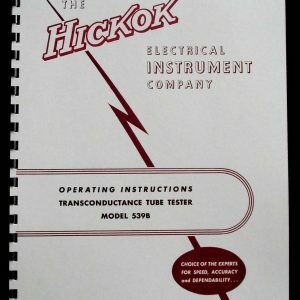 Book covers thousands of tubes from 01A to Z729. 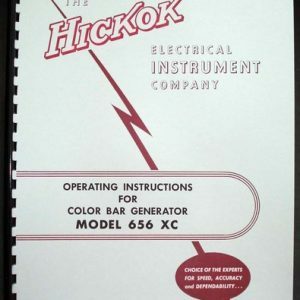 This book is not a replacement for cardmatic test cards but shows in detail test settings for each tube. 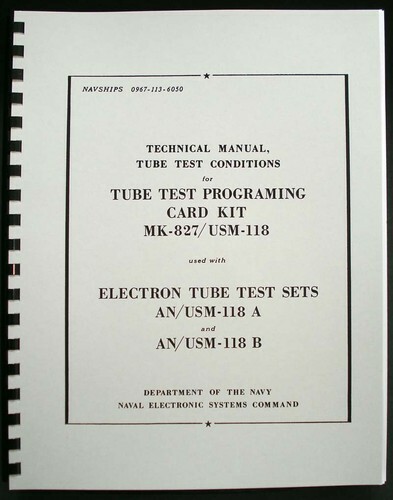 Some tubes have up to 4 cards for testing different sections. Real Paper Manual. Quality Printed and Comb Bound. Printed from available copy or scanned from original at 600dpi, restored in Photoshop, Laser printed. Cover page printed on Cover Stock.